In this tutorial I’m going to give you detailed instructions on how to deploy Telescope on your own server running Centos. I’m doing this on a virtual machine on my server, the same procedure applies to any server like Amazon EC2, Heroku or any dedicated server running centos. At the end of this tutorial you will be running telescope on port 3000 with nginx as proxy. yum update yum groupinstall "Development Tools"
You don’t have to install NPM sperately, it’s bundled with the node. If you get “virtual memory exhausted: Cannot allocate memory” error, try rebooting the system. Note: You might be tempted to get the latest code from git and install it, but for some reason beyond my understanding at this time, it doesn’t work. It throws some error related to fibers package. Last command bundles everything we need to run the app and saves it in your home directory. You can change the port to what ever you want, 80 if you do not want to use a proxy server. Having to start the Telescope app manually when ever the system reboots is not cool, lets add it to system startup. We will use upstart for this. Create a file called my_app.conf at /etc/init/ and add the following content to it. Are all the required programs in startup list? Lets check if mongodb and nginx are in system startup, if not lets add them. It’s not optimal to serve static files through node, I tried to serve them with nginx but wasn’t successful. I will update the post, once I find the answer. You should install phantomjs to make your app crawlable/searchable. You can get the latest and relevant download links from phantomjs downloads page. Though the entire process takes less than 10 minutes now ( excluding the compile time of node ), It took me more than 2 days to figure everything out. I hope this tutorial tutorial saves your time. This was really helpful. It got me pretty far and it gave me a much better understanding to how to deploy the Telescope app. Is it because I should replace “myappurl.com/” with my droplet’s ip? Or is there something elee I’m missing? CD to home directory and then run the command. Im facing a problem when I create the telescope folder. When I enter the mrt command, heres what happens…. Ok, everything’s ready. Here comes Meteor! and where does bundle/main.js suppose to come from? Having a similar problem (i believe). I followed the instructions no problem until I get to the part of “cd ~/bundle/programs/server” where I get the no such file or directory error. I tried looking for the “bundle/main.js” no such file. I’VE BEEN ON THIS FOR ALMOST A MONTH. Please HELP? Got stuck on cd ~/bundle/programs/server; getting a “no such file or directory” error. I tried to look for it manually but no luck. Would this work on Ubuntu 14.04? I was sooo grateful when I found your step-by-step explanation. Thank yuo very much for your effort! But unfortunately I am stuck with an error as well. Can you help? 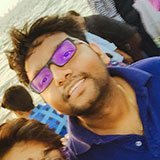 Hey, I’m a full stack web developer from the beautiful Coastal Andhra, currently living in Hyderabad and working on building my own company SwiftThemes.Com. A company that primarily offers WordPress related products and services. I work(ed) on WordPress, DJango, Meteor, Ionic, AngularJS, Angular2, ReactJS. Reliance Jio Infocom, In my 2.5 years at Jio, Architected and developed the backend and handled the devops for JioGame store backend serving 10 million users. led the front-end team of 6 developing the management console for the public cloud. NYBR, A location based hyper local social network to give you a break from monotonous life and help you connect with your neighbours.